Welcome to the Toledo Symphony League Website. 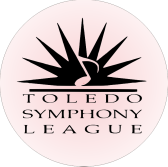 The Toledo Symphony League is a non-profit organization comprised of energetic and dynamic individuals who believe in the power of music. For 67 years we have supported the Toledo Symphony Orchestra by raising money, providing volunteers to aid the Symphony Staff, awarding Summer Study Grants to TSO Musicians, as well as, enriching the lives of young people through scholarships and arts education programs. I invite you to take part in any one or all of the League's 2018-2019 fundraising activities. Be sure to mark your calendar for the League’s Symphony and Snowflakes Gala on November 30, 2018 at the Toledo Club. It promises to be a fun, new and exciting way to usher in the Holiday Season. Merriment, good will and holiday cheer are sure to abound. The annual Rite of Spring Luncheon is April 9, 2019 at Parkway Place in Maumee. With the ever-popular Flour Garden and vendors galore, spring will be in the air at this ever-popular League event. Leaguers Who Lunch, back by popular demand, is a great way to support the Toledo Symphony and catch up with friends. Keep an eye out for possible upcoming Parties of Note. With our fundraising and fun-raising in 2017-2018, we fulfilled our $20,000 pledge to the Orchestra, awarded $14,900 in Scholarships to Toledo Symphony Youth Orchestra members, $2,075 in Summer Study Grants to Toledo Symphony Orchestra musicians, $2,250 in Young Artist Competition Scholarships and gave an additional gift of $10,000 to the Toledo Symphony Orchestra. If you are interested in working with an amazing, creative and talented group of women, please, consider membership in the League. We not only put on the best parties but we have a lot of fun doing it! Symphony is our middle name!